Although I have ‘performed’ at an event as part of the Ilkley Literature Festival ‘Fringe’ in the two past years, as a member of our local writers’ club, Writing on the Wharfe, this year it’s a step up to be part of the main festival programme. Scarey! The performance, named ‘Evocation’, will be similar to the two in Leeds Art Gallery earlier this year, eight of our writers reading a piece which a painting evoked for them, brilliant flamenco guitarist Samuel Moore interpreting both the writing and the painting. 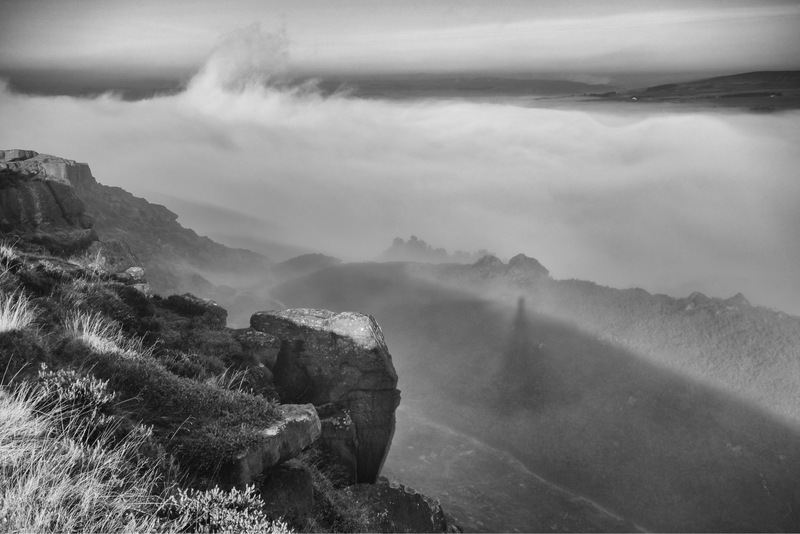 This time, however, we’ll be presenting what a photograph from around Ilkley has evoked. The photographs are all by another member of our club, and a superb photographer, Bob Hamilton. I’m attempting to write a kind of parody on a poem from a well-known 19th century author. Can you guess the poem from the picture? A rather indirect clue: Alice in Wonderland. All will be revealed after the performance which is on Saturday 29 September at Ilkley Playhouse, 7.15pm. A ticket costs just £5 (none of which comes to us). I related in a recent post how I had found VHS video tapes of a nativity play I wrote for my English class to perform almost a quarter of a century ago. I suppose it is not surprising that I kept them but a couple of days ago one of my former students, who took part in the play, gave me a big surprise. She sent me a scan of the programme I made for the performance, which includes the names of the complete cast. She, Paula (who I was delighted to meet this summer), told me she found it in a drawer in her home, together with an invitation I made to a Christmas party I organised for the class at the same Christmas time, 1994. Ema Tudoreanu, named on the programme, was their English teacher but, as so many English teachers at that time other than in ‘top’ high schools, was unqualified; nevertheless, she was a super partner for what was achieved with this class. What is particularly thrilling is that Paula is now not only a high school teacher of English, her recent thesis for a higher qualification is on the subject of using drama and song as part of Teaching of English as a Foreign Language, which was always part of my approach to teaching English. Very interesting coming together of arts. Our Colchester-based group, in collaboration, produced an exhibition of poems sparked by visual art and vice versa, the poets coming from our group and the visual artists from a local group too. The painter Angella Horner and I hit it off and now have a book (“Tidelines”) soon coming out with my poems and her digital art. Next month in Colchester our group’s poems play their part in an event on the legacy of the First World War, mixed with dance (not by the poets!). I think it’s great that multi-art events are increasing. That sounds wonderful Simon. I’ll look out for your book. We have chatted vaguely about perhaps doing something similar in our writers’ club and I must resurrect the discussion as we have at least two, perhaps three, wonderful visual artists and one great musician (we lost one but perhaps we could persuade her to come back for such a project).